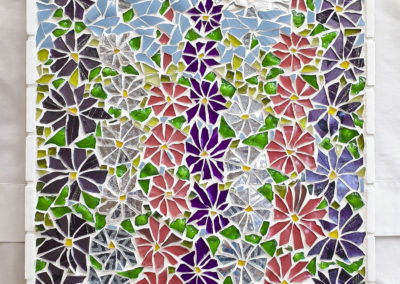 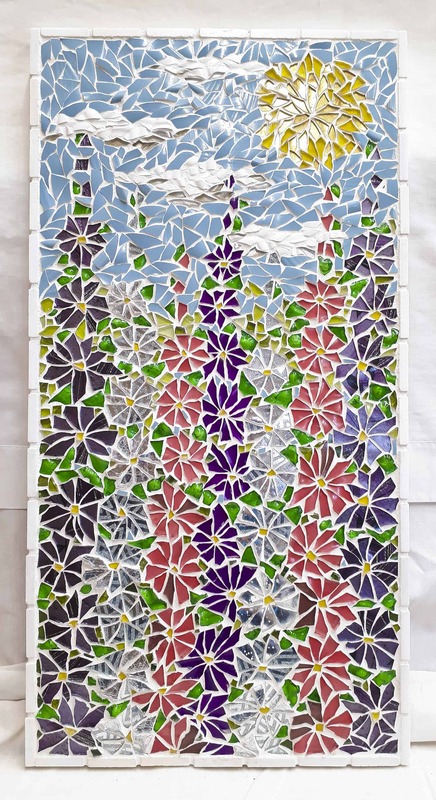 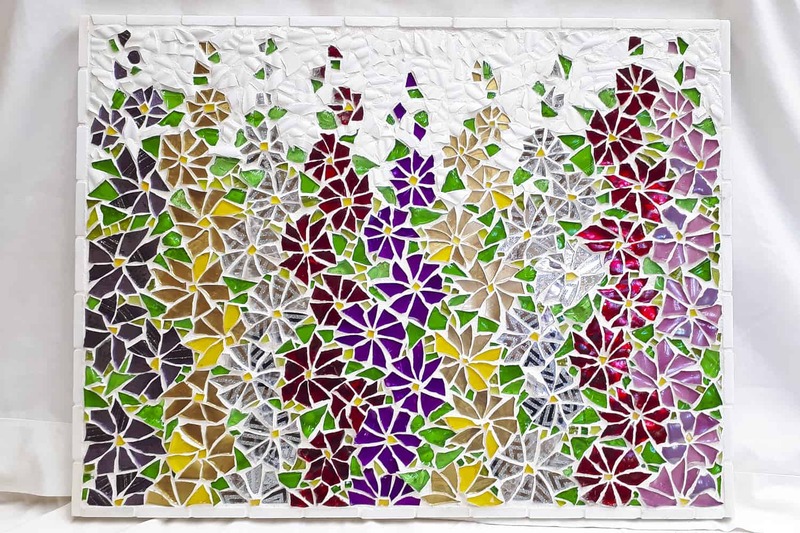 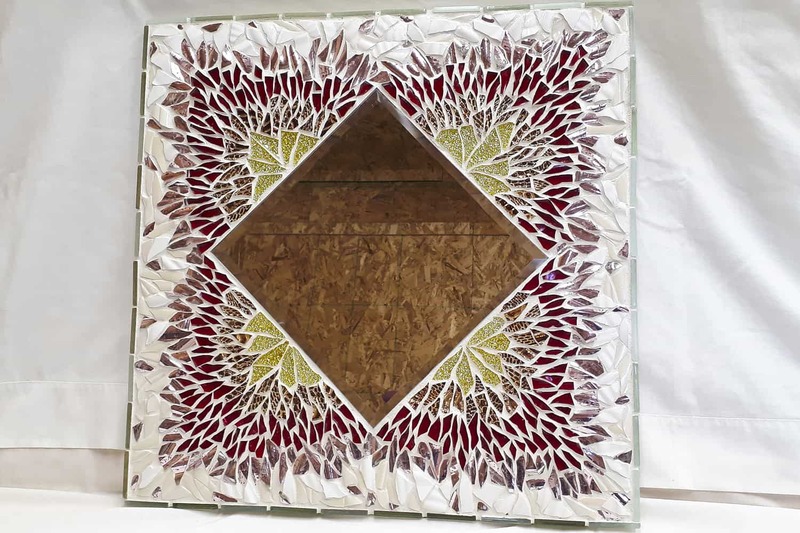 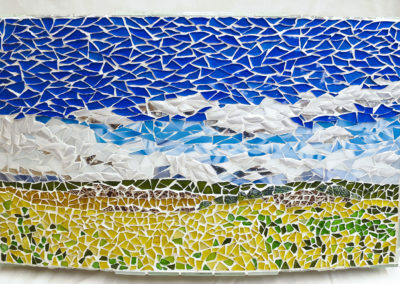 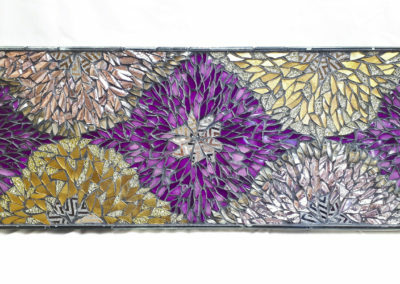 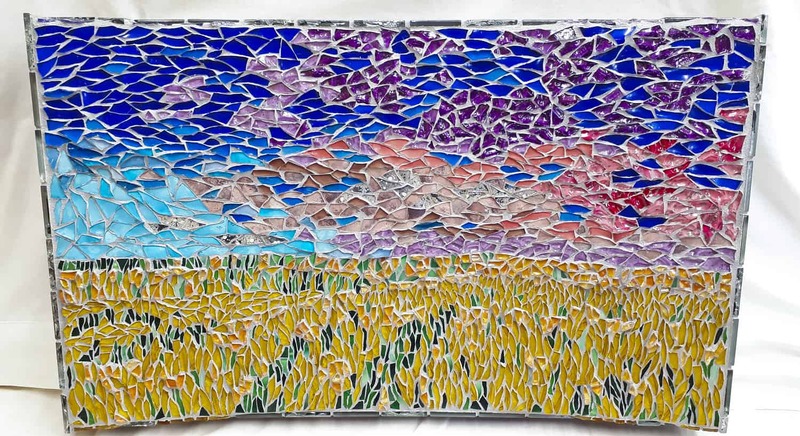 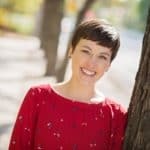 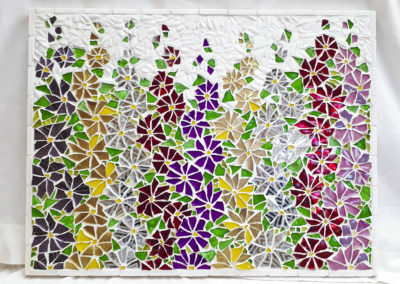 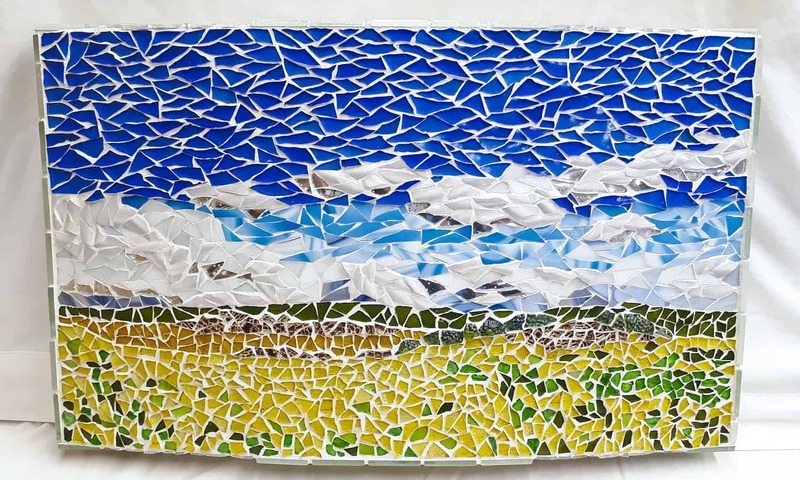 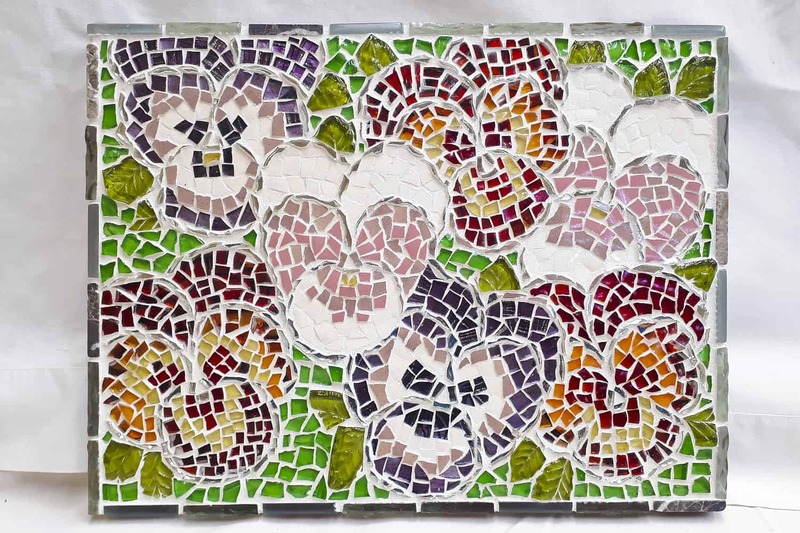 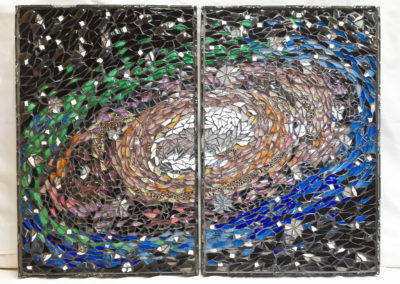 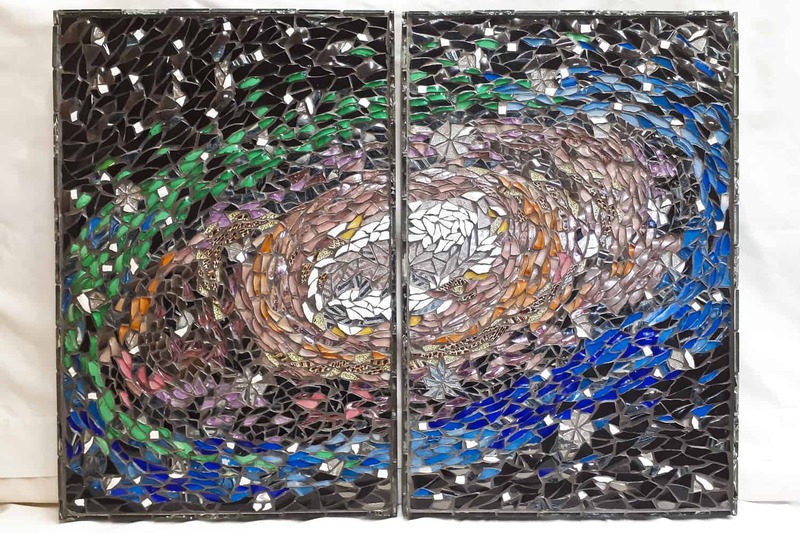 My name is Kaia Anderson, and I am a high school teacher by day and a mosaic maker by night. 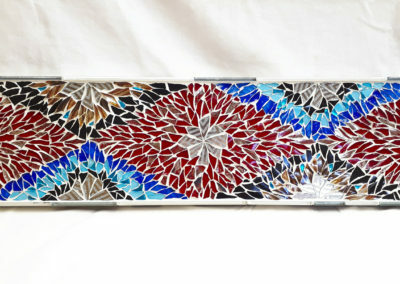 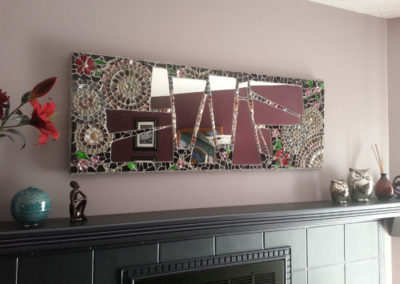 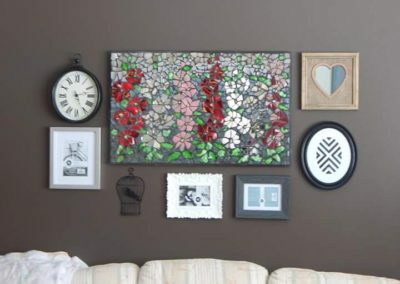 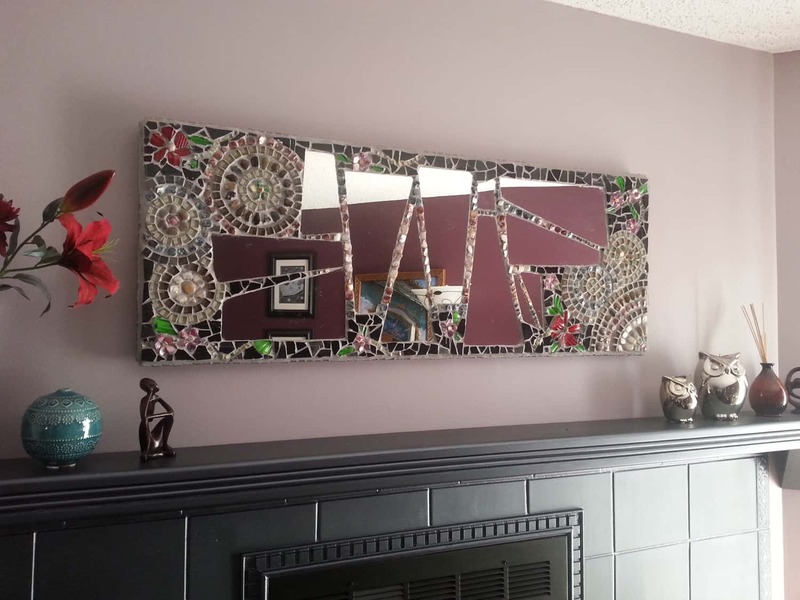 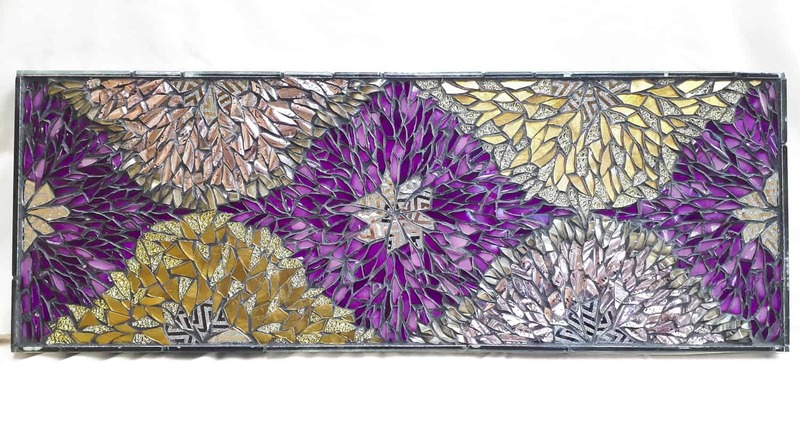 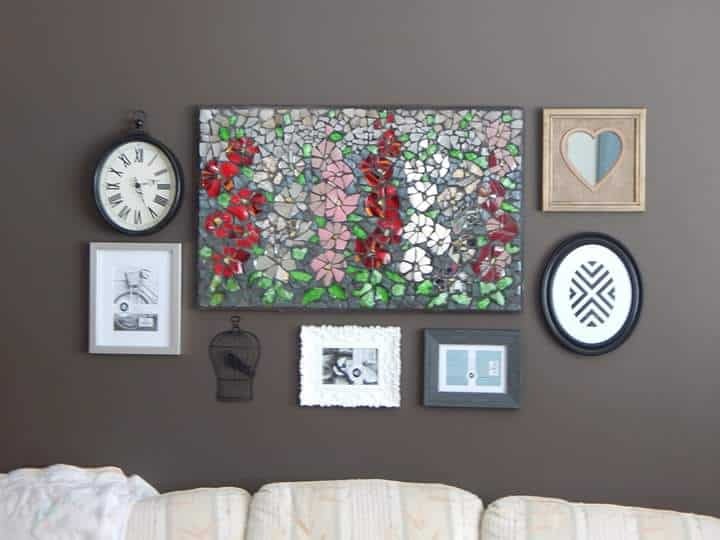 I started making mosaics about five years ago when, on a whim, I decided to design something unique to hang above my mantle. 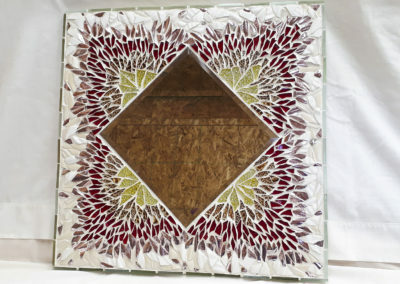 I enjoyed it so much that I ended up creating more pieces for my family members. 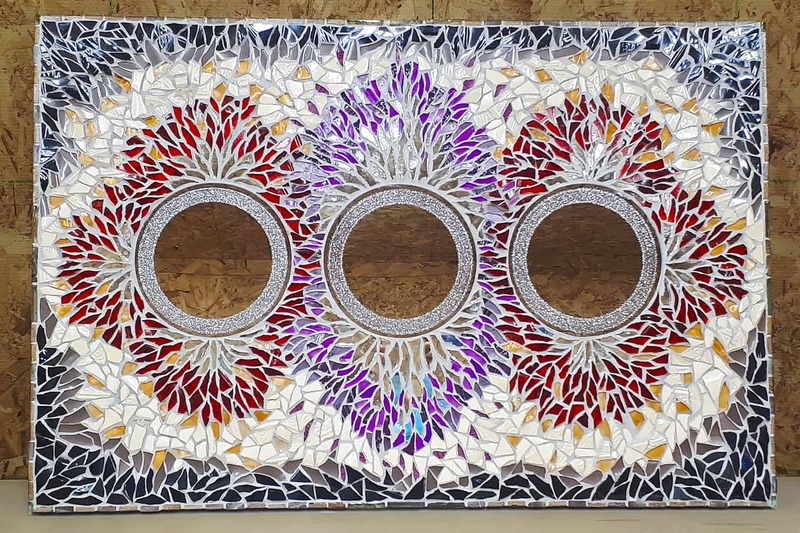 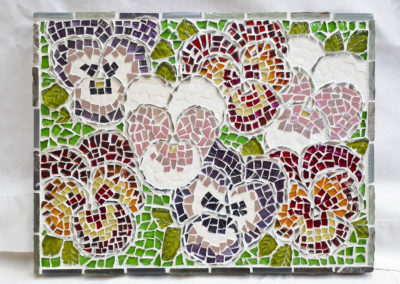 Lately, my dad and I have spent many hours together in our workshop honing our crafts, he does woodworking and I do my mosaics. 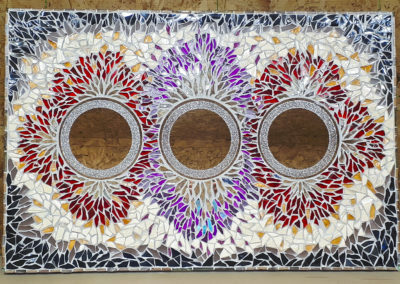 Since we work together, my dad always builds the frames for my mosaics which allows me to work on any sized surface that suits my fancy. 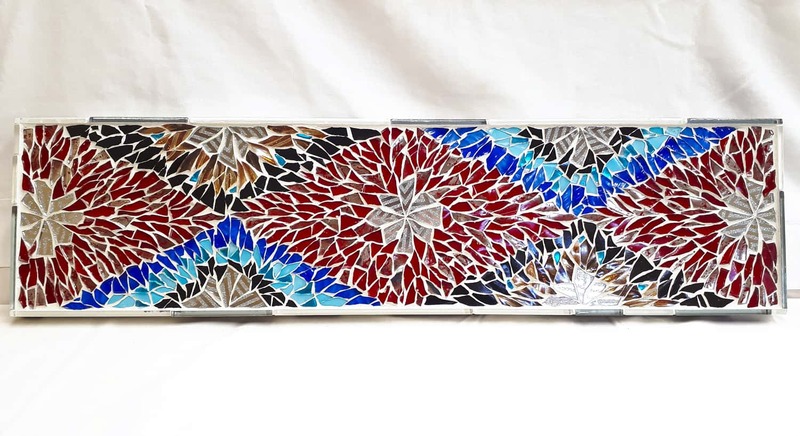 I have grown to love working with glass as my medium; I never get tired of the deep jewel tones and the way the light makes each finished piece shimmer. 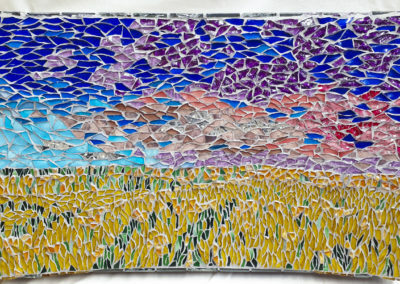 I am thrilled to have been accepted as an emerging artist at WinterGreen this November, 2018, and I look forward to seeing where this new adventure will take me.